Because there is an alternative to iOS and the almighty combo iPhone / iPad, my team has started to track the activity from the financial services industry and especially the retail banks on Google’s Android Market. Soon, we will officially launch our Visible Banking Android Watch series, in addition to our popular Visible Banking Twitter WatchSeries (over 1,650 accounts in 73 countries) and Visible Banking Facebook Watch series (over 1,300 pages and apps in 75 countries). In the meantime, we would like to share with you a few insights on the highest profile mobile banking apps for Android provided by the retail banking industry. Please find below the charts of the mobile banking applications offered by retail banks which made the Top Free apps in the finance category of the Android Market (75 applications in total). So, with the imminent launch of Windows Metro and the high quality app ecosystem ‘built’ by Apple, how important do you consider Android as part of your mobile banking strategy? 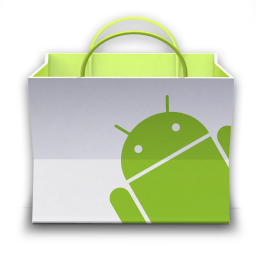 Would you consider ever launching an app on the Android Market first? Next articleCommonwealth Bank of Australia Proudly Announces Facebook Milestones. But Wait, They’re Just Getting Started. Is it necessary to download mobile banking apps to use mobile money transfer? Do I need a smartphone to enable mobile banking?? ?